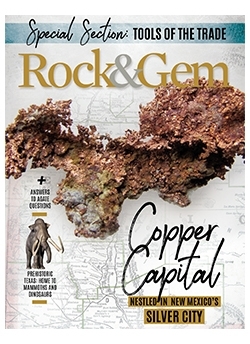 Since 1971, Rock&Gem has been the leading magazine for the lapidary and mineral hobbyist. Not a trade journal and not a scientific dissertation, it speaks to the average rockhound, providing just the right blend of entertainment and satisfying information. 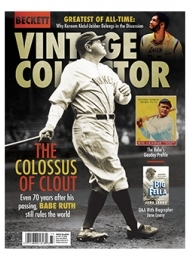 Armchair hobbyists and diehard diggers alike will find something to enjoy in each issue. Field trip writers like Robert Beard ferret out the collecting spots that deliver the goods and give you clear directions to an enjoyable outing. Field trips range from day-long family-friendly outings to extended-stay adventures in the great American wilderness. We know that our youth are the key to continued growth in the hobby. Our monthly children’s feature, Rock&Gem Kids, is designed to appeal to a younger generation with short, interest-catching articles, kid-sized projects, puzzles, and a chance to win a prize.